Judy Chicago’s ‘The Dinner Party’, 1974-79, the nonpareil of feminist art, has recently become the jewel in the crown of the Elizabeth A Sackler Centre for Feminist Art at the Brooklyn Museum. It is a triangular banquet table, heavy with ornate place settings for 39 women, which sits on a floor of triangular porcelain tiles bearing the names of a further 999 women of historical significance. In its new home it is to be accompanied by a series of biographical exhibitions about the 1,038 women it names. Although this series is intended to enhance Chicago’s work, it can also be seen as an illustration of the failures of the golden age of feminist art history and of this icon, ‘The Dinner Party’, in particular. In 1971 ArtNews published Linda Nochlin’s ‘Why Have There Been No Great Women Artists?’ signalling a revisionism through which women artists were systematically excavated and crowned the equals of their male contemporaries. While Chicago’s piece avoids such narrow confines—her guests’ occupations include mathematician, queen, and suffragette, as well as several artists and writers—almost 40 years later the list seems to vacillate between the obscure and the dated and warrant its present enhancement. Artist’s lists have become relatively familiar, but, in works such as Tracy Emin’s ‘Everyone I Have Ever Slept With 1963-1995’ and Douglas Gordon’s ‘List of Names’ (1990—Present), the political has given way to the personal. Whereas Chicago sought to gild and solidify, Emin and Gordon rely on ephemeral memories rather than ideologies transposed onto the past. Perhaps Emin’s tent owes more to Chicago’s dinner table than the simple appropriation of the list form, although the quality of her craftsmanship and that of Chicago’s place settings is as divergent as the personal from the political—the use and regeneration of traditionally female arts such as embroidery being a firm part of the revisionist agenda. The topography of the relationships between artists and artworks has served as inspiration for the curators of this year’s Whitney Biennial who claim that these sociological networks characterise the state of American art today. Thus they have broadened the scope of this already cumbersome exhibition to include more established artists such as John Baldessari, Mary Heilmann, Sherrie Levine and Louise Lawler. Each of the three floors of the Biennial opens with free copies of the text ‘If This Was The Review Of The Preview’ by Jan Verwoert for Dexter Sinister followed by a Louise Lawler photograph such as ‘Sucked in, Blown Out, Obviously Indebted’, 2008, bearing a privileged view of a Dan Flavin. 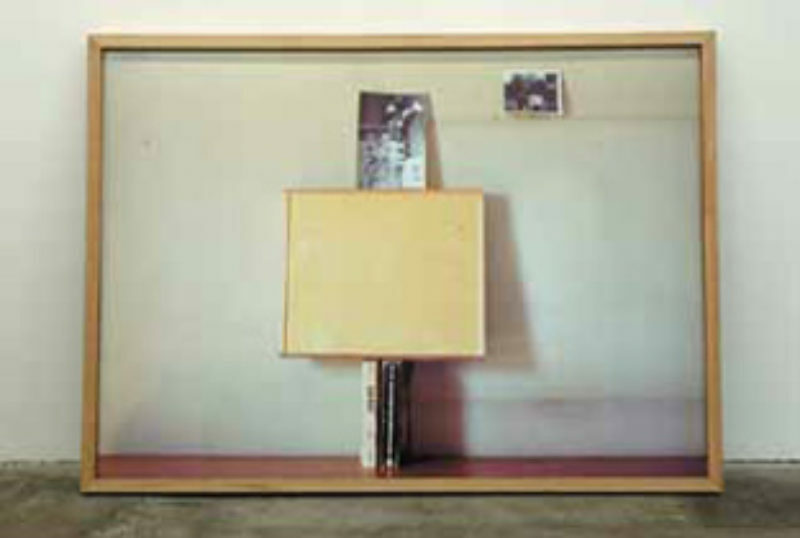 Shannon Ebner’s packing crate, ‘Involuntary Sculpture’, 2006, and Leslie Hewitt’s photographs ‘Make it Plain’, 2006, of the backs of paintings balanced on books and leaning against walls, mimic Lawler’s vantage point. Hewitt’s works suggest their three-dimensional counterparts, Carol Bove’s sculptures, though not those in the Biennial. Matthew Brannon’s graphic drawings and Eduardo Sarabia’s installation ‘The Gift’, 2008 revisit the world of design and its implicit relative pop art. Ellen Harvey’s ‘Collection of Impossible Subjects’ and ‘Invisible Self-Portrait in My Studio’ form an installation where an illuminated plexiglass mirror-wall engraved with empty salon-style frames reveals a painting of frames identical to those on the mirror-wall but containing self-portrait photographs in which her image has been eliminated by the flash. These works suggest a deconstructed ‘Étant Donnés’, while the salon-style frames point to those that hold Karen Kilimnik’s paintings, illuminated by a chandelier. Mapping out an unavoidably dizzying landscape, this showing manages to achieve, with clarity, the presentation of a less schematic feminism. The inclusion of Heilmann, Lawler and Sherrie Levine and the tacit exploration of their relationships with younger artists of both genders is without agenda or explanation. 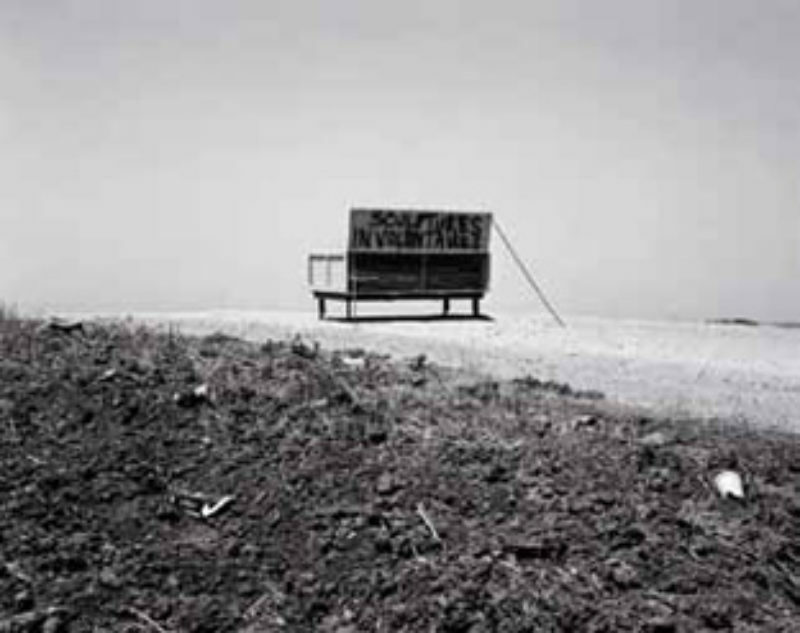 Levine’s ‘After Stiegliz’, 2007, a series of pixelated photographs aligned to his ‘Equivalents’ series, bears the traces of her art of appropriation which began when in 1980 she re-photographed from an exhibition catalogue, Walker Evans’ photographs made famous by his book project with James Agee Let Us Now Praise Famous Men, which is echoed in Rachel Harrison’s sculpture series named after famous men. In his 1991 book B, Martin Kippenberger identifies female American artists as being at the vanguard of a new movement in which ‘they just look at art, work it up a bit, and that’s the art of today’. A movement that was born in the self-consciousness and revisionism of 70s feminist art theory has embedded itself without gender in the art of today.